I arrived in Portland to find clear skies, caught the free tram (awesome!) across the city and found my way to the Downtown Value Motel. I checked in, couldn’t find a map of the city and walked out into the downtown area in the hope that Tourist Information would still be open. 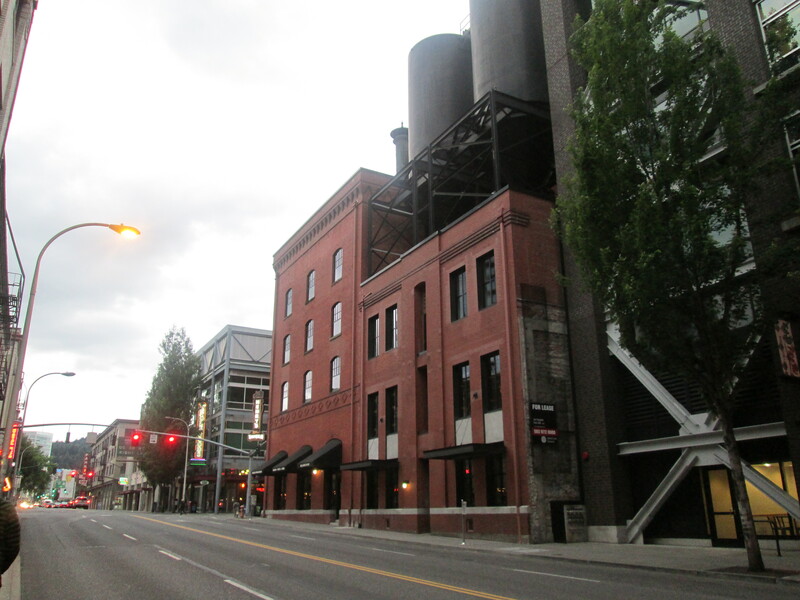 When I eventually found it, tucked away in a corner of Pioneer Place it was closed and I was without a map. I figured I may as well had back to the hostel (I’m staying in a dorm, I’m calling it a hostel even though it most definitely isn’t one) and see if any of my room mates had turned up. When I got there I found Florient, and moments later Patrick, Craig and John waltzed in to see if either of us fancied checking out some of the mircobreweries. We caught the tram to the Pearl District where the guys had heard the best breweries were and started off in Henry’s Tavern which despite it’s appearance was not a microbrewery. We stopped in and all enjoyed a drink anyway, I opted for a pale ale called Amnesia because the best way to judge a beer is by it’s name. We enjoyed our drinks, getting to know each other a little better and learning that John would be up and out of the hostel at 5am much to all of our delight. Once we’d finished up we decided we should probably try and find an actual microbrewery. Not far from where we began we came across Al’s Den. John asked one of the guys behind the bar where the nearest microbrewery was and he told us we were in one, and better than that, there was a guy playing guitar downstairs if we wanted to check it out. 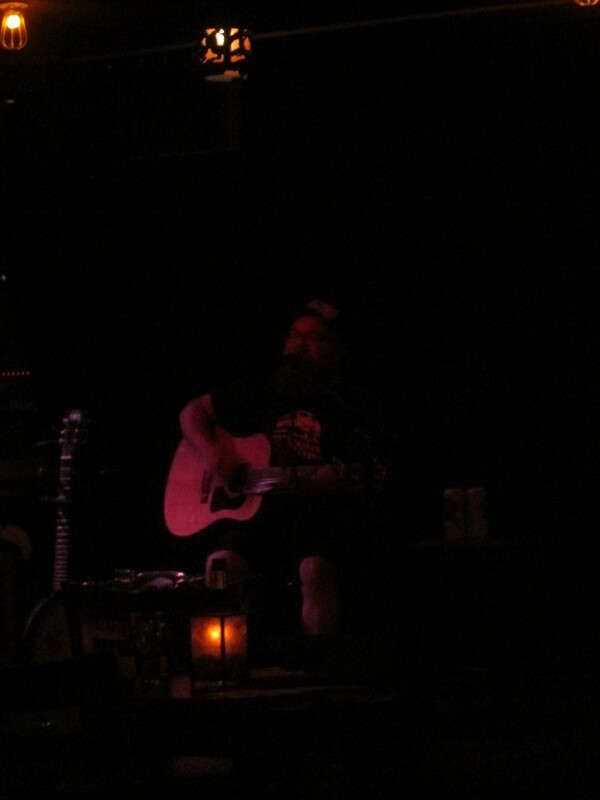 Nothing like some free live music to go along with a stout called Terminator. 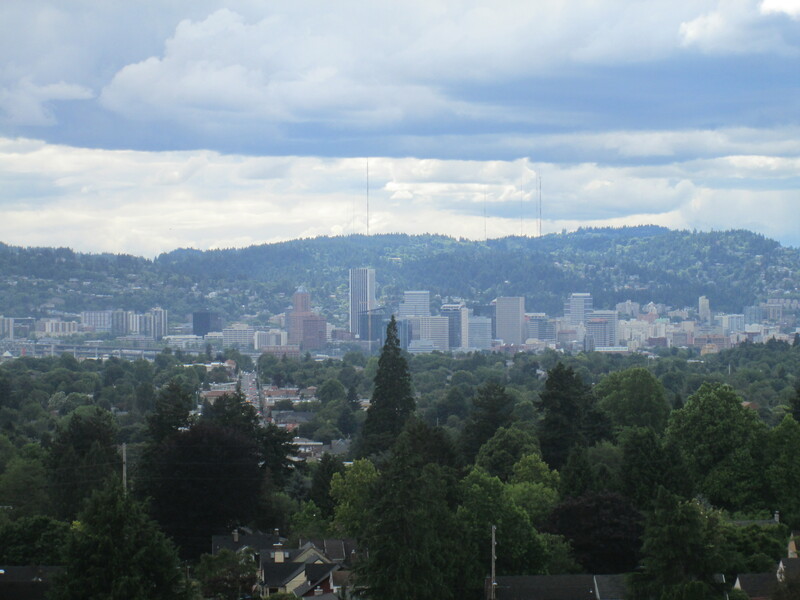 I think I might like Portland, a lot. We only stayed for one, due to John’s painfully early departure plans. The following morning, I said goodbye to Patrick and Craig who were heading up to Seattle and met Anja, who was moving rooms to join us in the dorm. Anja, Lorient and I all head out into the city with the aim of finding breakfast and came across one of Portland’s famous food courts. 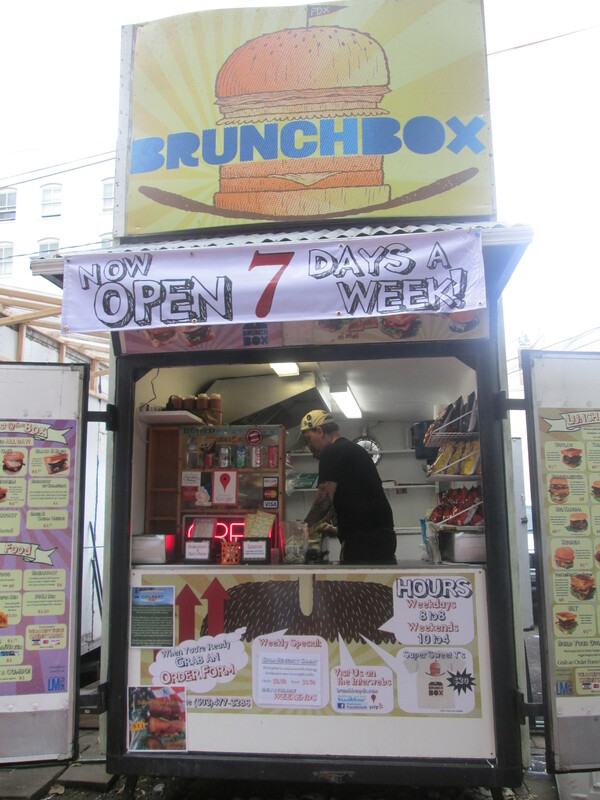 These are unlike the food courts you would find in a North American mall; these food courts consist of various trailers around car parks offering anything from Mexican, Thai, Hawaiian and Korean. I found my way to a BrunchBox and ordered a custom breakfast bagel which turned out to be one of the best custom breakfast bagels I’ve ever had. 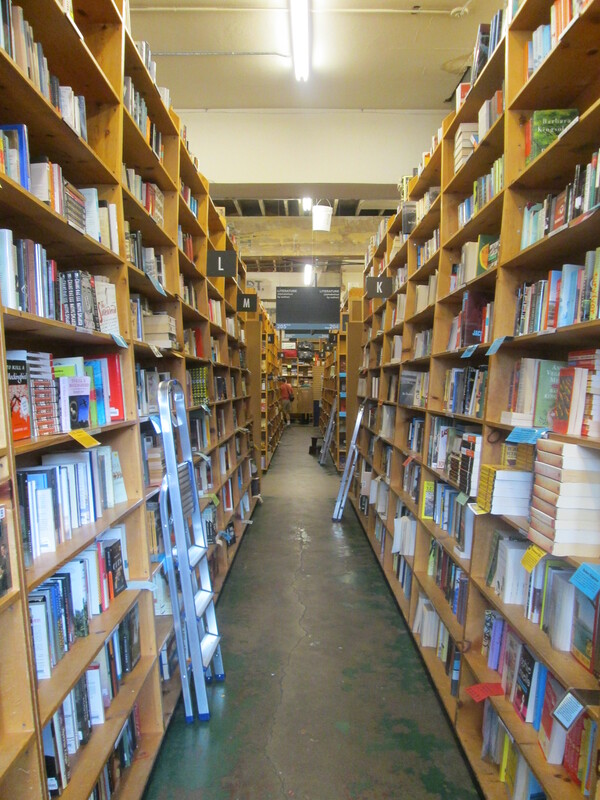 Once we’d all enjoyed our food we headed across town to Powell’s Bookstore; the largest independent book retailer in the world if the locals are to be believed. Once inside I found it very easy to believe them and it would have been very easy for me to get lost and spend most of the day browsing the shelves. I find it difficult to believe that my stay here won’t involve another visit. 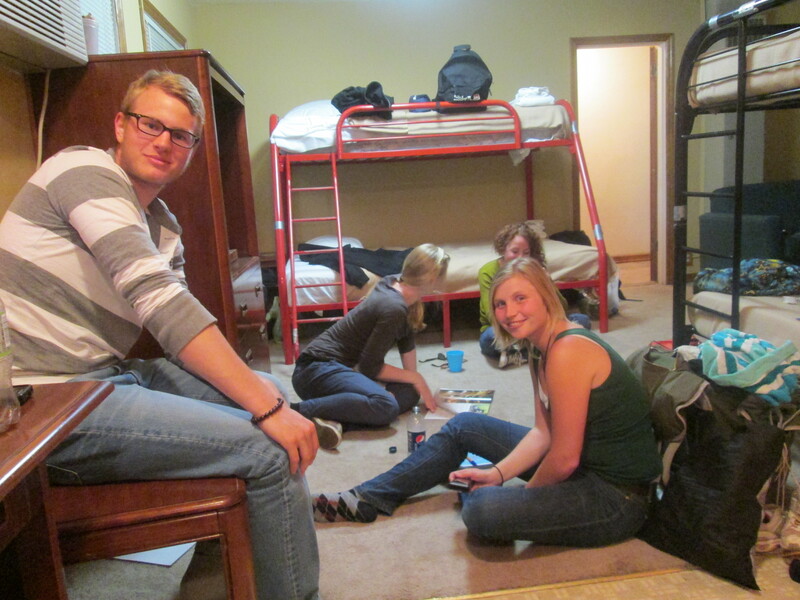 We eventually all found each other again and decided to head back to the hostel. Anja had some recommendations to drive out to a couple of the mounts around the city to get some good views back across the city. Fortunately for Lorient and I, Anja had a rental car and was halfway through a road trip from L.A. to Seattle and she was more than happy to drive us around. 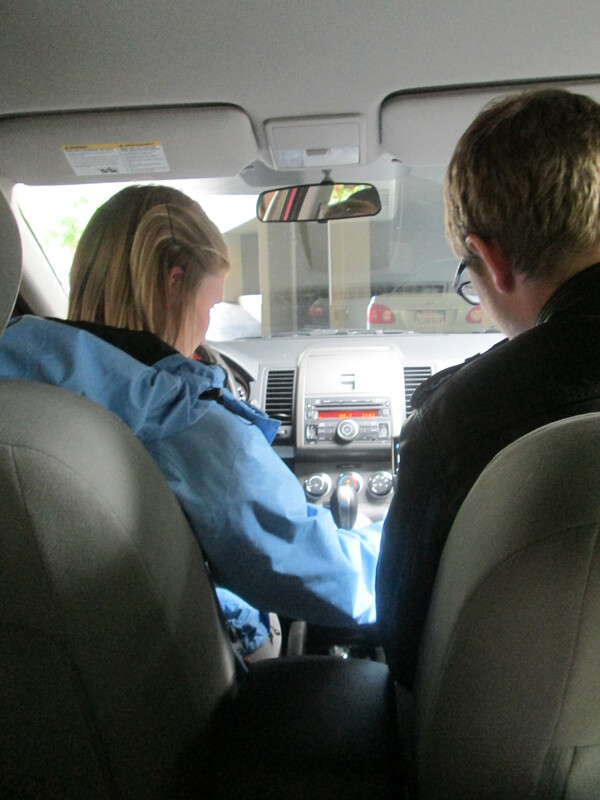 We first made our way across the city, enjoying all the fun that comes with a SatNav system that doesn’t really understand who’s in control of the car. 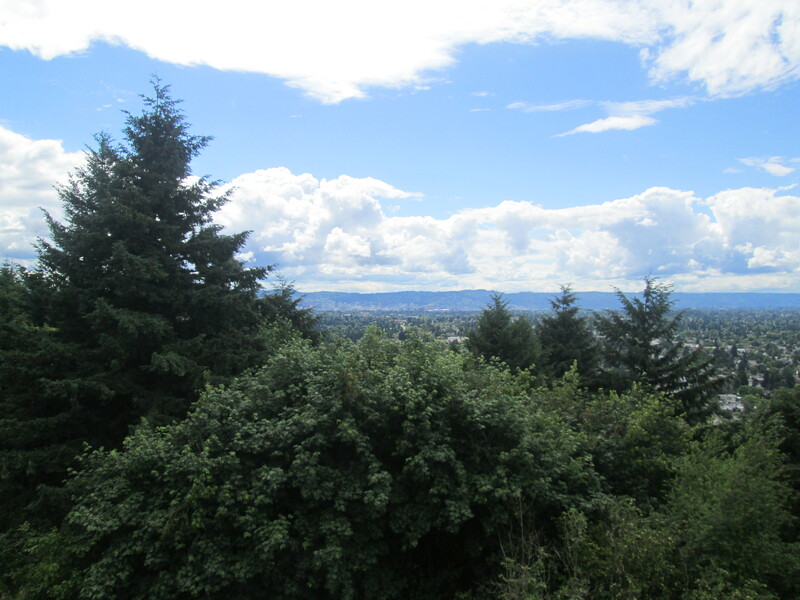 Our first destination was Rocky Butte, we had pretty good views but we all felt that it was a little too far away from the city to really appreciate it. Anja knew that there was another point closer to the city, but we would once again have to battle against the SatNav, eventually realising that it would be better to just ignore it and drive towards the large tree covered hill in front of us until we found a place to park. We found ourselves at the top of Mount Tabor where we found almost no views of the city until we came back down past two of the cities reservoirs. Once we’d enjoyed the view, we decided it was time to head back to the hostel to find that Anja had lost her parking spot. After a little drive to find somewhere to park we made it back inside. Florient and I headed out to the food courts again, picked up a six pack of local amber ale and met Anja back at the hostel again. We’re all coming to the end of our trips and ended up discussing the things we are looking forward to most about getting home. Highlights include; Babybel, Heinz Baked Beans, a real shower, and your own bed. I hope you enjoyed your stay! Portland will always welcome you back.